Among the veritable smorgasbord of new Windows 8 systems unveiled today at IFA is the latest iteration of Samsung's Series 5 ultrabook. While it's slightly thicker and heavier than its predecessor, the new model's dimensions and processor nonetheless fall well within the ultrabook parameters as defined by Intel. On first blush, the updated model looks like a dead ringer for its predecessor, with a svelte profile wrapped in an attractive aluminum chassis. The similarities continue until you notice the Windows 8 sticker on the right side of the palm rest. As your eyes continue drifting upward, they'll eventually settle on the critical ingredient that sets the Series 5 apart from its forebears: the touch screen. Although the 13.3-inch display looks exactly like the previous edition, it's actually a capacitive touch screen. Clearly, Samsung is betting on the assumption that flipping, pinching, and swiping through Windows 8's tiled interface will make for a more intuitive and fluid user experience. Users wary of Window 8's new layout won't be left in the dark, either, as Samsung will include a utility that allows Windows 8 to replicate the familiar start menu and control panel seen on all of its earlier versions. This feature will be made all the more accessible since the new Series 5 will also sport the same touchpad seen on previous models. Like its predecessor, the new Series 5 ultrabook features a fairly lean port selection. The right side sports dual USB 2.0 ports and a multiformat card reader (SD/SDHC/SDXC/MMC). The left side, meanwhile, sports a USB 3.0 port, a mini VGA port, and a full-size HDMI port. Purchasers have the option of choosing either a Corei5 ($799) or Core i7 ($899) configuration for their system. 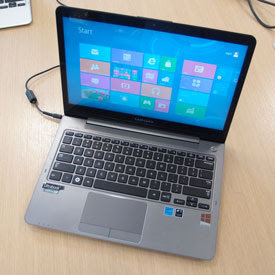 The revamped Series 5 ultrabook will be released in conjunction with Windows 8 on Oct. 26. "You can use your coins to buy refreshments at the little machine for life or melt the coins to make computers, that’s not my problem, I already paid them and fulfilled the law. 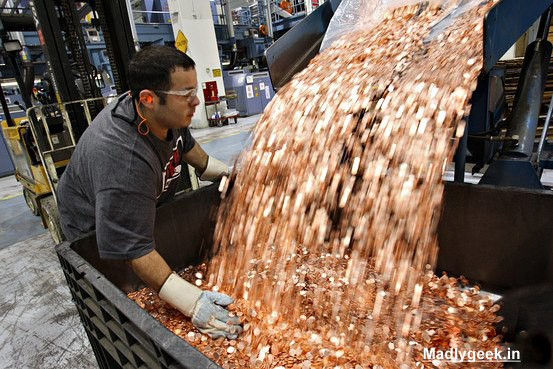 A total of 20 billion coins, delivery hope to finish this week." So What is Session Cookies or Session ID's? Describing it in Simple Language., These Session cookies are nothing but a unique piece of String generated when one Sign in to his Account. One of the Copy of this Cookiesis Stored in the Website Database Server and other copy in our Browser as Cookie. Both are matched every time whenever we do anything in our account. This piece of string or login session is simply destroyed when we click on the 'Sign Out' option. Note: when I mention Stealing Session or Stealing Cookies Both means the Same., Sessions are stored in our browser in form of cookies. This method is uncommon because once the Victim Clicks on "Sign Out" button., The Cookies are Automatically Destroyed and the Attacker obviously gets Signed out from the Victim's Account. But in case of yahoo, its not the same.The attacker doesnt get signed out when victim clicks 'Sign out'. This is the Big Advantage for many hackers to hack into Other's account.Though the session automatically gets destroyed after 24hrs by yahoo. But when user simply refreshes the windows in yahoo account, he gets sessions for next 24 hrs. This means, once the yahoo account session is stolen , attacker can access the account for life time by refreshing window in every 24hrs. I am not actually sure whether its 24 or 48 hrs. NOTE:I or the staff of madlygeek's will not take any responsibility if you use this tutorial in unethical way. This is written to help you to beware of whats going around, and save your self by not being hacked! #3. 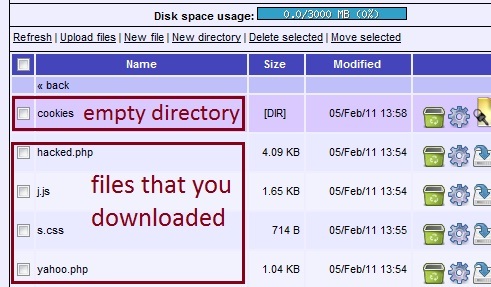 Login to your account and go to file manager. Upload the four files that you have just downloaded. 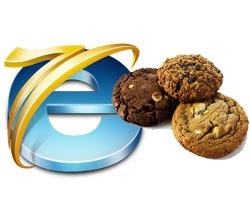 Make a new directory 'cookies' here. 3. Give this code to victim to run in his browser when he would be logged in to his yahoo account. Yahoo.php is basically cookie stealing script and hacked.php executes the stolen cookies in browser. 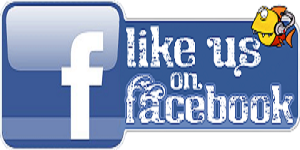 *In this Blue Colored line"http://yourdomain.com/yahoo.php"., enter the link of the yahoo.php file that you have uploaded. He would again be redirected to his yahoo account. 4. Open the hacked.php . The password is "madlygeek"
You must have got the username of victim's account. Simply Click on it and it would take you to inbox of victim's yahoo account without asking for any password. How to identify whether an email is real or spoofed ? After that Post, Many Started Digging me How to Distinguish between the Real mail with the Spoofed one. Well that is So Easy to Find out. This can be done by checking headers. Email headers is simply the text which contains the information about the mail servers that the email encountered in its path from the sender to receiver. It contains a lot of other information too. Note: I am just telling you a few points about this so that you would just get an idea about the approach. This may or may not depend on some factors. We can view email headers in gmail by clicking at 'show original', and In yahoo by clicking at 'Full headers' and such kinds of options in other email service providers. I will show you by an example, I received three emails in my gmail inbox from sender's address "someone@gmail.com." Sender's address shows me that they should have been orignated from gmail/google server, if they would be real. Note : There is a field called "Return-path" in headers. If the email ID shown in this field and email ID you get as sender's email ID doesnt match, then the email is surely fake. Intex has launched a new Dual SIM smartphone in Indian market at a price of Rs. 5,490. This low cost phone seems to be a perfect answer to the Samsung Galaxy Y Duos S6102, which is today available at Rs.8660. A comparison of features of these two smartphones reveals that at Rs. 3,000 less Intex Aqua 4.0 definitely proves to be a better choice. Both the Intex Aqua 4.0 and the Samsung Galaxy Y Duos run the Android 2.3 Gingerbread operating system. The Intex model runs on a 800MHz processor while the Duos runs on a slightly higher 823 MHz processor. Customized for the Indian market the Intex Aqua comes with support for both Hindi and English, while the Samsung model only supports English. *Intex Aqua 4.0 : Android 2.3.5 Gingerbread operating system. *Samsung Galaxy Y Duos : Android 2.3.5 Gingerbread operating system. *Intex Aqua 4.0 : 512 MB ROM, 131MB internal memory which could be extended to 32 GB via a microSD. *Intex Aqua 4.0 : 3.5-inch (8.89 cm) full touch HVGA with a resolution support of 480x320 pixels. *Samsung Galaxy Y Duos : 3.1 inch (8 cm) capacitive touchscreen 262K Color TFT, with a resolution of 320 x 240. *Intex Aqua 4.0 : 3G, 7.2 Mbps HSDPA, 5.76 Mbps HSUPA, GPRS/WAP, Wi-Fi, Bluetooth v3.0 with A2DP. *Intex Aqua 4.0 : 3 megapixel primary camera and a 0.3 megapixel front camera. *Samsung Galaxy Y Duos : Single 3.15 megapixel primary camera, with Geo-tagging feature. *Intex Aqua 4.0 : Music player, sound recorder, pushmail, video capture, mobile tracker, calendar, notes, alarm, calculator, traffic monitor, Gmail, Flipkart, Facebook, India Rail, Google Maps, Nimbuzz, Skype and YouTube. *Intex Aqua 4.0 : Three sensors – gravity, light and proximity sensors. With these sensord the phone could adjust brightness of the screen, auto-detect and turn off the screen during calls, control outflow of infrared, while consuming little power. *Intex Aqua 4.0 : 1,400 mAh Lithium ion battery which could offer a talk time of up to 3 hours and a standby time of up to 140 hours. 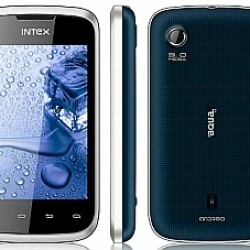 *Intex Aqua 4.0 : Two colors - Black and white. 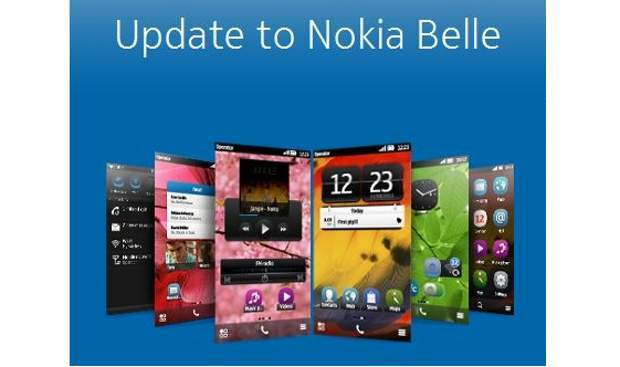 you can Now upgrade your devices to Nokia belle refresh and get exiting new features for your devices. Finnish mobile manufacturer, Nokia has announced the roll out of the Nokia Belle Refresh upgrade for Nokia N8, E7, C7, C6-01 and X7 smartphones. The most expected and long awaited Nokia Belle refresh upgrade offers a improved options, personalisation choices and performance for the devices. The roll out has been announced by Nokia through its Official blog. Symbian Belle Refresh upgrade brings some exciting features to the Nokia N8, E7, C7, C6-01 and X7 smartphones. * there will also be a new set of home screen widgets added to the menu for all the devices for enhanced functionality. *There will also be an addition of Microsoft Office Mobile app for all the devices that will offer turbo charged productivity and much enhanced compatibility with other Microsoft based apps as well. *There will also be the addition of the all new Nokia Maps Suite 2.0 for better and flawless navigation which has been the key for Nokia Maps so far. Along with that Nokia N8 owners will also get a few extra imaging-related apps as to do justice to the world's favorite imaging smartphone alive today, second after the Nokia PureView 808 launch.